The holidays just got better. Where tradition and family, community and togetherness are already at the heart of this time of year, in Manila we are being treated to a symbol of all these that’s also bound to one man’s independent spirit and belief in what this season is about. Welcome the Jack Daniel’s Holiday Barrel Tree! A Lynchburg Tennessee holiday tradition that through the years has spread to the United Kingdom and Canada. This year, it is going to be lit in Manila. The first of its kind in Southeast Asia, the Jack Daniel’s Holliday Barrel Tree is more than just a symbol of the holidays that has traveled the world. It stands for a community that has built a tradition together, this annual tradition started by the men and women of Lynchburg. That the Lynchburg community would create its identity around the making of Jack Daniel’s is no surprise. Yet the man behind it all, Jack Daniel himself was not one to let them forget about the importance of family and togetherness, no matter the demands of building America’s oldest registered distillery. This could only bring the men and women of Lynchburg Tennessee to create the annual tradition of the Holiday Barrel Tree – made from the very barrels used in maturing Jack Daniel’s Tennessee Whiskey, a symbol of their hard work and persistence, but more importantly a reminder of the value of gathering together as community and family. 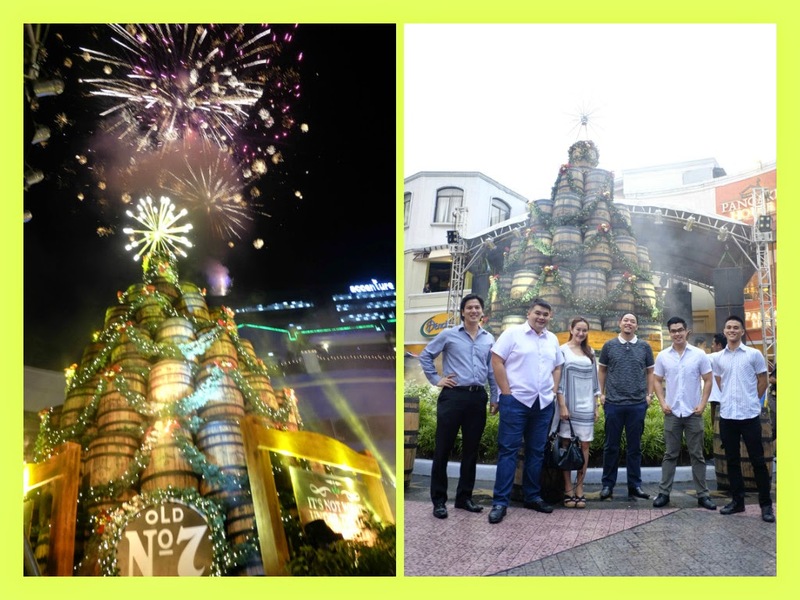 This is what the Holiday Barrel Tree brings to Manila, rising in two locations – in Fuente Circle in Eastwood City and at The Fort Plaza in Bonifacio Global City. It speaks of how priceless this time of year is, not because of the rituals of gift-giving and excess, but because we come together for no reason other than gratefulness. It tells us that above all else, gathering merrily with family, friends and loved ones is the reason for this season. After all, it’s not what’s under the tree that matters most. It’s who’s around it. Moreover, the event was graced by Mr. Gabriel Fajardo, Jack Daniel’s Philippine Brand Manager and Mr. Anthony Ramirez, Brown Forman Corporation Philippine Market Manager who also iniated the lighting of the first and only Jack Daniel’s Barrel Tree in Asia. Meanwhile, Up Dharma Down performed before the ceremony began.